What is the Tefillin Club? 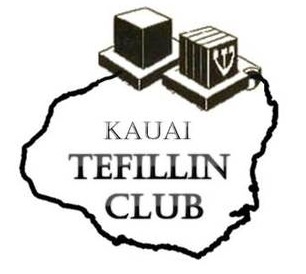 The Club was established to Celebrate the Sacred Mitzvah of Tefillin by Jewish Men on Kauai. It is a monthly spiritual boost, coupled with a social get-together. Tefillin is an ancient, yet relevant ritual, a mind-heart-hand connector, which brings us into consciousness of our Creator, and aligns us internally. The Kauai Tefillin Club meets on the first Sunday morning of the month. No prior Judaic experience required. Meetings will include a short prayer/ meditation (The Shema etc. ), brief insightful study and accompanied by a light breakfast and Talk Story. Bring along your Tefillin if you have one.